This is so stupid. 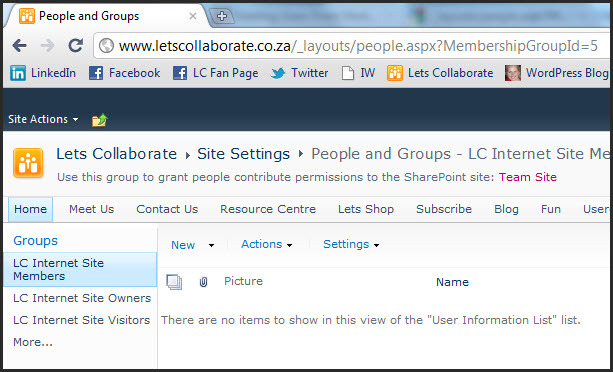 In all other versions of SharePoint, there is an option to view “All Users”. Not in Foundation. With hosted sites you usually get a certain number of users you are allowed to add to your site or subsites. 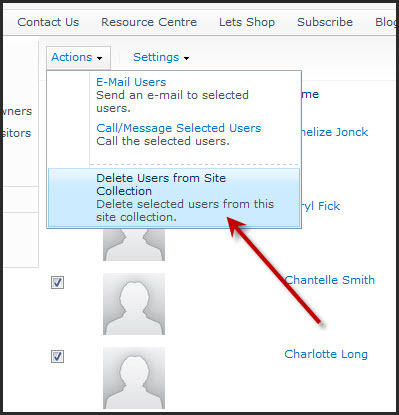 The gotcha is that if you want to delete them off the site collection so you don’t waste user accounts you can’t view all your users and remove them all at once. Thanks for that Microsoft. You can view groups, but not all users on the site. So if you add temporary subsites, before you delete them, you need to go into each group and delete the users manually. 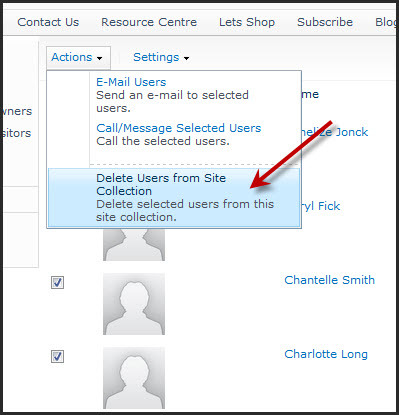 If you’ve deleted the sites already (like I did), the users are not deleted from the site collection. But now there is no way to get back to those users. Go into any site and click on anyone of the groups. Then change the URL at the top to replace the number you see at the end with a zero. MembershipGroupId=0. Now you’ll get a list of all users on the collection. Select and remove as required. Thank you so much to Katrin Weixel for the help. Next SharePoint Training or SharePoint Designer Training? There are some subtle differences from MSF2010 –> SPS2010. The differences are not always apparent but do bite you when you start using MSF2010 extensively.